Winter is here, and although just reading that statement may make you want to stay inside and watch Netflix instead of enduring any of the cold weather outside, there’s actually a lot of fun activities and events to enjoy in Toronto that will definitely make your winter more bearable. Since you have a break from school, why not take advantage of your time off and see some of the pretty sights and events this city has to offer you? Call up your girlfriends and start planning out dates when you’re free because Faze has some perfect ideas on events and places you need to visit this winter break! Okay, so this may not be an “event”, but you can’t really go wrong with skating while admiring the Christmas decorations and lights downtown. Enjoy a free skate with your best friends and then get some hot chocolate to warm up! It’s the perfect plan if you’re bored and looking for something to do on a chilly evening. 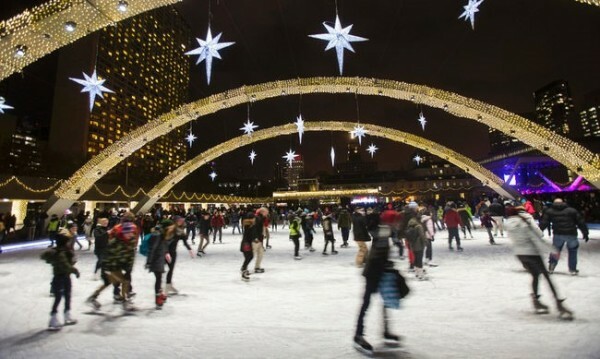 Plus, the Eaton Centre is just around the corner–skating and shopping anyone? 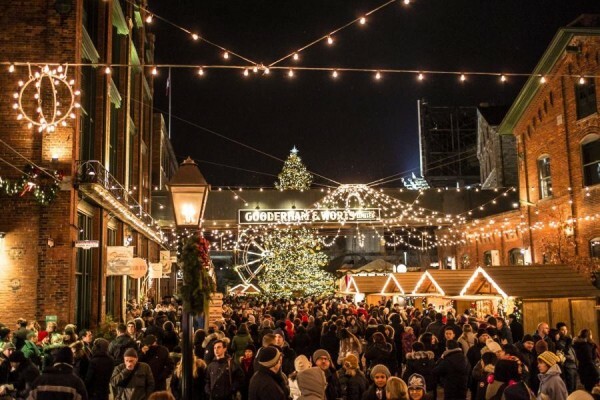 Probably one of the most Instagram-worthy places to visit on this list, the Toronto Christmas Market is a beautiful place to visit with your friends or a boyfriend. Located at the Distillery Historic District, the market has free admission during the week and costs $5 on the weekend. The market has everything from entertaining music and dance performances to cute boutiques for you to shop at. It’s a must-visit if you’re in Toronto, but make sure to get there soon since the market’s last day is December 20. 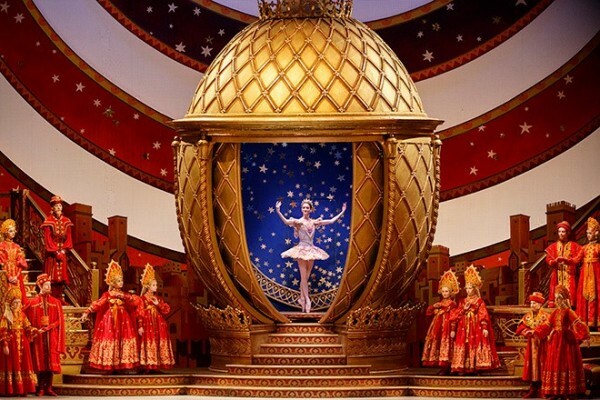 If you’re in the mood to just sit and relax during your winter break, going to see the Nutcracker is the perfect event for you. From now until January 3, the National Ballet Of Canada is performing this holiday classic, and it’s a can’t miss show! Get dolled up with your friends and enjoy this elegant evening as you watch this dazzling performance. Thought that EDM festivals only take place during the summer in Toronto? Well, Solaris is here to change that. If you’re a fan of EDM, check out Solaris Music Festival at the Enercare Centre on December 26 and 27. With an amazing line up of popular DJs taking the stage throughout the weekend, it’s the perfect way to enjoy great music with great company. 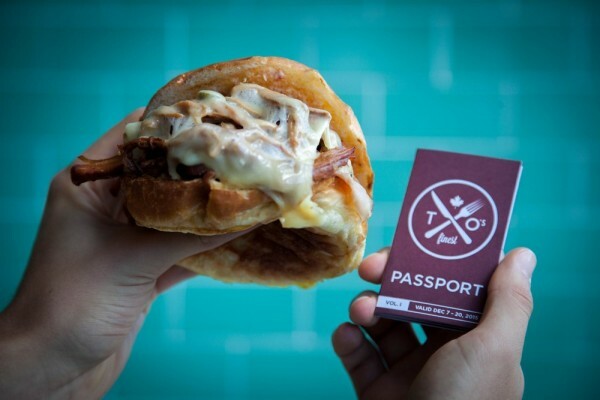 The holidays are all about enjoying and indulging…well, we think they should be—that’s why T.O’s Finest Food Crawl is a necessity for your winter break. Until Decemer 20, you can go around to ten of Toronto’s yummiest restaurants (listed on the website), and savour their feature dishes for just $5 per dish. They have everything from pizza and burgers to fancy desserts. Release your inner “foodie” this winter break and take advantage of these amazing meals for one amazing low price. If you’ve never seen the 12 Trees of Christmas before, it’s time to make it your new holiday tradition. 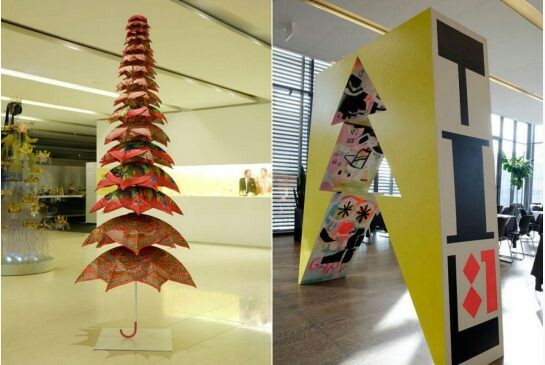 Designed by the city’s top designers, the trees are on display at the Gardiner museum until January 3. Go out to lunch with your girls then check out the spectacular work these designers have created. Don’t miss this annual event! Known as “Toronto’s favourite foodie event”, Winterlicious is the perfect way to enjoy amazing meals at over 200 restaurants in Toronto. Selected items on the menus have a price fix, meaning you won’t be paying outrageous amounts of money for all of this delicious food! Winterlicious doesn’t start until the end of January, but it’s smart to plan out which restaurants you would like to attend now in order to get your reservations in early. The event is also a great way for you and your friends to try new dishes or foods from different cultures. 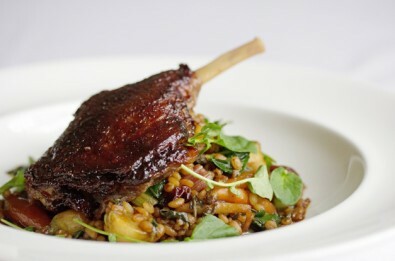 Are you getting hungry yet? One of the most unique places to go in this city had to be saved for last. 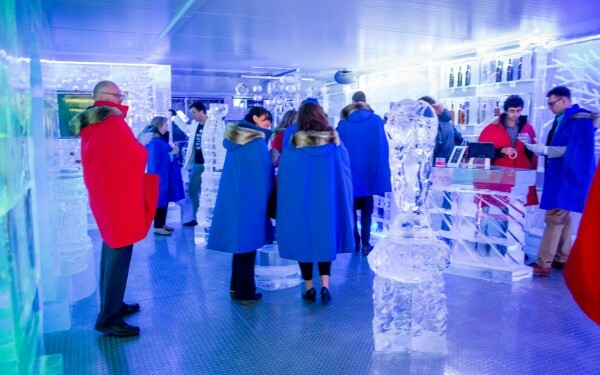 Chill Ice House is one of the coolest places to be in Toronto (literally) during your winter break. Located on Bathurst street, Chill Ice House is a lounge with frozen DJ booths, furniture and sculptures. 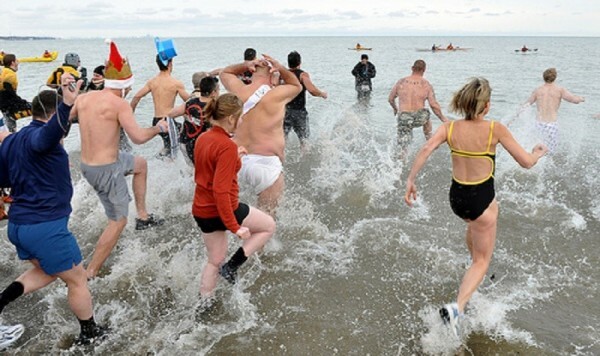 Your entry fee includes a cape and gloves. If you’re 19 and older, try some of the cool drinks that Chill Ice House has to offer. If you’re underage, you can still indulge by enjoying the lounge’s famous s’mores or fondue. The lounge only opened last year, which means you can be the first out of your friends to mention this notable place and make a fun day out of it. Whether you want to go out with a couple of your girls or make an event out of it, the lounge arranges group events and parties as well. With great reviews from TripAdvisor and Yelp, you can’t miss out on Chill Ice House!